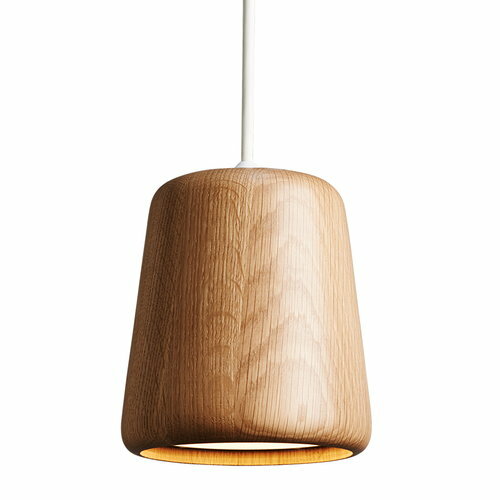 As its name suggests, Material pendant by New Works plays with different materials. The pendants of the Material family all share the same shape, but the materials vary from wood and metal to marble, ceramic and concrete. When combined together, Material pendants create unique, eye-catching clusters. Design studio Noergaard & Kechayas designed the Material range originally for bar and restaurant use, but it just as easily lights up a conference room, hotel lobby or your own kitchen or living room. What's your favourite Material? 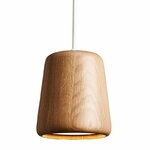 The Danish designers Christian Noergaard and Martin Kechayas established the design studio Noergaard & Kechayas in 2009. The Copenhagen-based studio concentrates on industrial, furniture and lightning design. Noergaard and Kechayas are two very different characters. Noergaard is calm and pensive and has a critical approach on design whereas Kechayas has a lot of ideas and temperament. When designing these differences complement each other and create a strong dynamic between the designers.